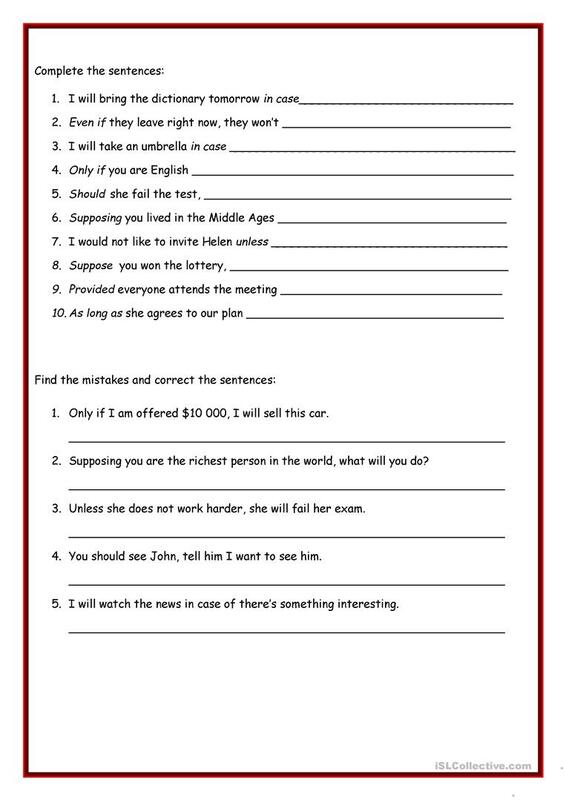 This worksheet deals with structures in the conditional sentences which involve "in case", "provided/providing," "Suppose/supposing", "should", "even if", "only if", etc. The present printable, downloadable handout is best suited for high school students and elementary school students at Pre-intermediate (A2), Intermediate (B1) and Upper-intermediate (B2) level. 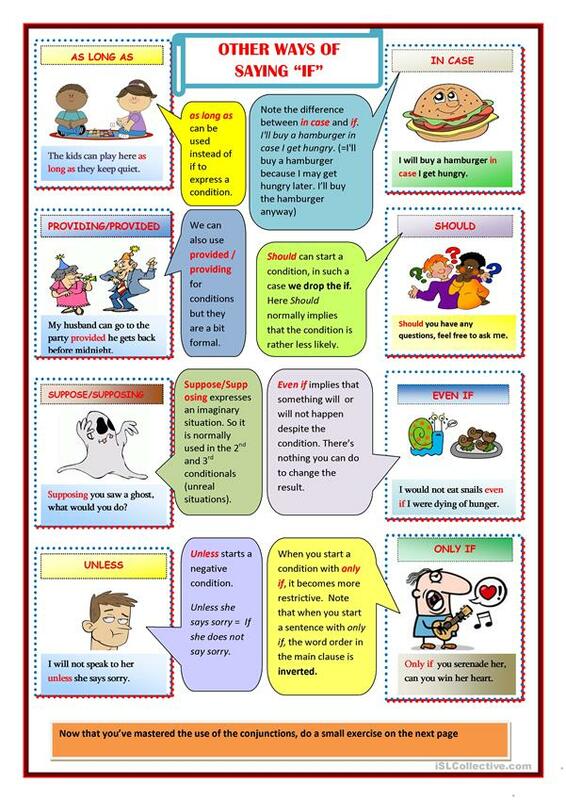 It is a useful material for teaching Conditionals in English. Gi2gi is from/lives in Georgia and has been a member of iSLCollective since 2014-11-26 21:29:37. Gi2gi last logged in on 2019-03-01 14:16:42, and has shared 33 resources on iSLCollective so far.